At least eight Palestinians were killed and over 1070 injured by Israeli gunfire on the 2nd Friday of Gaza's Great March of Return, according to the Palestinian Ministry of Health in Gaza. The Ministry said that one of the martyrs died on Friday morning after he succumbed to wounds he sustained while taking part in the Great March of Return last Friday. The PIC reporters said that thousands of Palestinians since the early morning hours marched along Gaza's eastern border to participate in the "Friday of Tires" protests. They added that dozens of tires were set on fire by Palestinian youths to create a smokescreen that would block the view of Israeli snipers stationed behind the border fence to shoot the unarmed protesters. The Israeli occupation forces in the past few days have sent dozens of threats to the Gazan people, in an attempt to terrorize them and dissuade them from participating in Friday's mass demonstrations, warning to kill more protesters. Hamas's spokesman Hazem Qasem said in Facebook statements that the Israeli threats will not succeed in intimidating the Palestinian people who are exercising their right to struggle against occupation, blockade and schemes aimed it liquidating their just cause. Updated: The Palestinian Health Ministry in the Gaza Strip has confirmed that Israeli soldiers killed, Friday, seven Palestinians, including one child, and injured 992 others, in several parts of the coastal region. An eighth Palestinian died from serious wounds suffered last Friday. Update: The soldiers killed Ala’ Yahya az-Zamily, 17, after shooting him with a live round in his neck, east of Rafah. Ala’ was from Shaboura refugee camp, in Rafah. 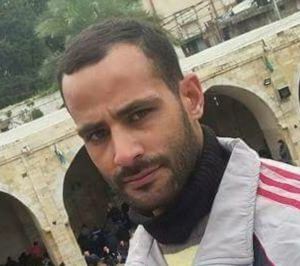 It said that Mohammad Sa’id Mousa al-Hajj Saleh, 33, from Rafah, in southern Gaza Strip, was shot with live Israeli army fire in the abdomen and chest, east of the city, during evening hours. 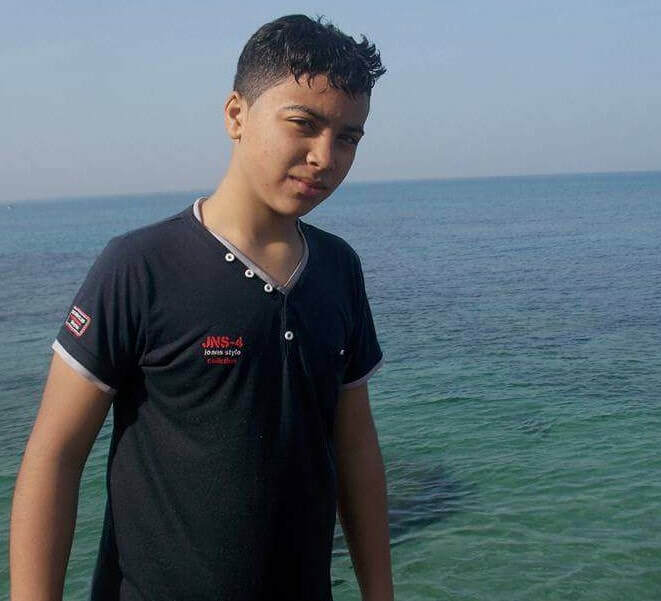 The Ministry stated that the child, identified as Hussein Mohammad Madhi, 16, was killed by Israeli army fire, on Friday evening, east of Gaza city. 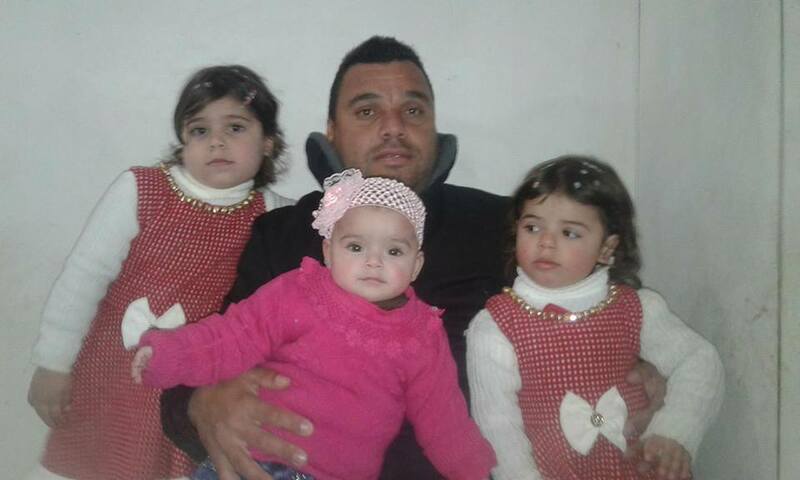 Another Palestinian, identified as Sidqi Faraj Abu ‘Oteiwi, 45, from Nusseirat refugee camp, in central Gaza, was also killed by Israeli army fire. 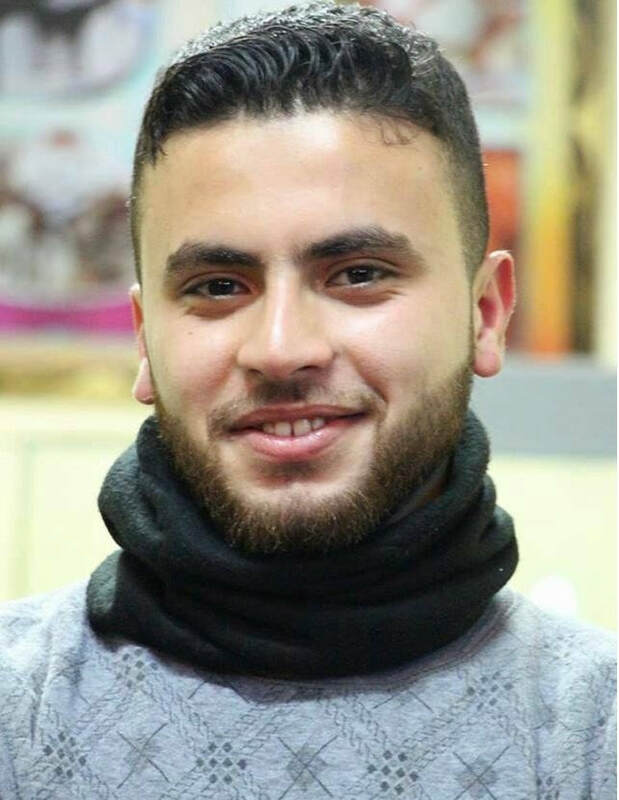 Also, the soldiers killed Ibrahim al-‘Orr, 20, in central Gaza.Dr. Ashraf al-Qedra, spokesperson of the Health Ministry in Gaza, said the soldiers shot 1070 Palestinians, 551 of them were rushed to the make-shift clinics on Palestinian lands hundreds of meters away from the border fence. He added that 442 wounded Palestinians were rushed to governmental hospitals, and 77 to private hospitals. Among the injured are 48 children, and 12 women. 25 Palestinians suffered life-threatening injuries, and 239 suffered moderate wounds, in several parts of the Gaza Strip. The soldiers also continued to deliberately target the Palestinian medic, and their ambulance, especially east of Rafah, with Gaza bombs, wounding seven of them. Israeli soldiers killed, Friday, two Palestinians and injured at least 252 others, including may who suffered life-threatening wounds, and moderate injuries, in several parts of the Gaza Strip, after the army resorted to the excessive use of force against nonviolent protesters. 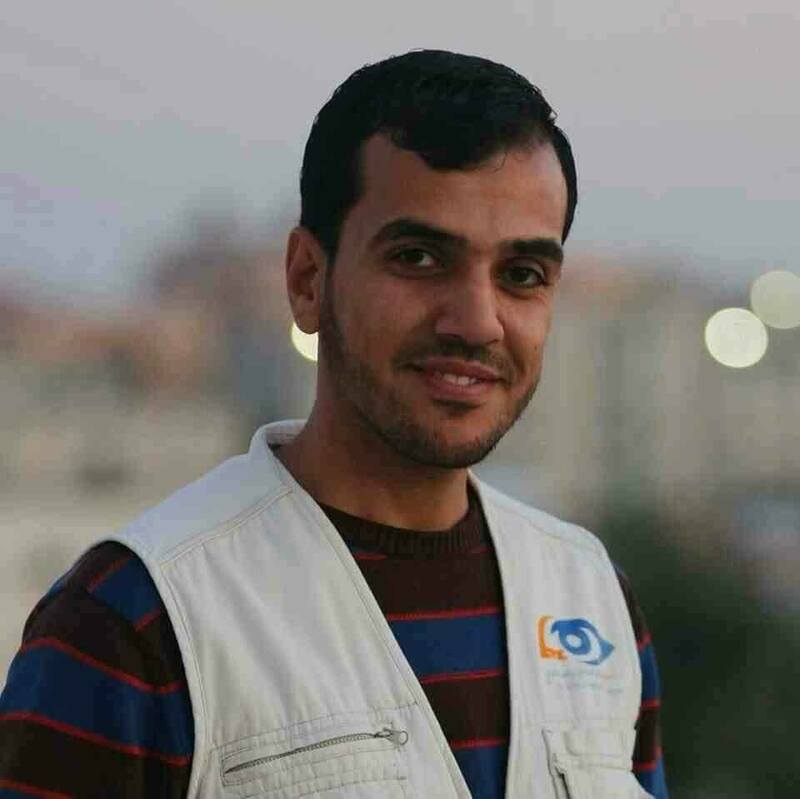 The Health Ministry and the Red Crescent in Gaza has confirmed that the soldiers killed Majdi Ramadan Shbat, 38, east of Gaza city. 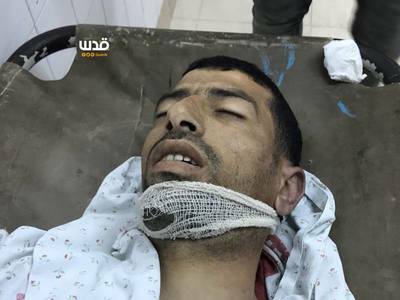 Dr. Ashraf al-Qedra, the spokesperson of the Health Ministry in Gaza has confirmed that the soldiers killed Osama Khamis Qdeih, 38, from Abasan al-Kabeera town, east of Khan Younis. 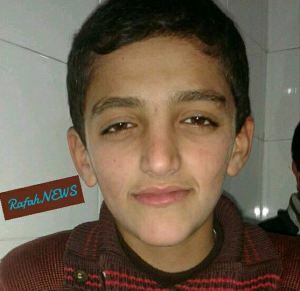 He added that Qdeih died from serious wounds he suffered after the soldiers shot him with live fire, east of Khan Younis. The Palestinian Red Crescent in Khan Younis, in the southern part of the Gaza Strip, said its field hospital provided treatment to more than 50 Palestinians, including many who were shot with live rounds in the head and chest, and dozens who were shot with rubber-coated steel bullets and gas bombs, in addition to scores who suffered the effects of teargas inhalation. 4:50 PMIsraeli soldiers killed, Friday, two Palestinians and injured at least 252 others, including may who suffered life-threatening wounds, and moderate injuries, in several parts of the Gaza Strip, after the army resorted to the excessive use of force against nonviolent protesters. It added that one of the wounded Palestinians is a journalist, identified as Yasser Mortaja, who was shot with a life round in his chest, while a female journalist, identified as Islam Za’noun, suffered the effects of teargas inhalation, despite wearing clearly marked press vests; both were injured east of Khan Younis. The soldiers deliberately fired a barrage of gas bombs, including high velocity, long range bombs, at crowds of protesters, in addition to firing many live rounds at them. Furthermore, the army used planes and drones in firing a barrage of gas bombs at the Palestinians even in areas not close to the border fence. Dozens of Palestinians suffered the severe effects of teargas inhalation and received the needed treatment in make-shift hospitals near the border fence, across the eastern part of the Gaza Strip. The soldiers also targeted dozens of medics with gas bombs, east of the al-Boreij refugee camp, in central Gaza, wounding many of them. The Palestinians burnt dozens of tires near the border fence, in order to distrust the vision of the soldiers, especially the sharpshooters, who barricaded themselves behind huge sand hills across the border fence. The army also used planes to extinguish the burnt tires, in addition to using water hoses and even fans to send the smoke back to the Palestinian side. 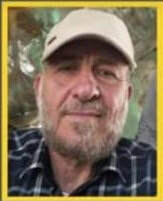 His death brings the number of Palestinians who were killed by Israeli army fire since Friday, March 30th, to twenty-two, including the farmer, Wahid Nasrallah Abu Sammour, who was killed on his land early Friday morning before the Land Day protests began. 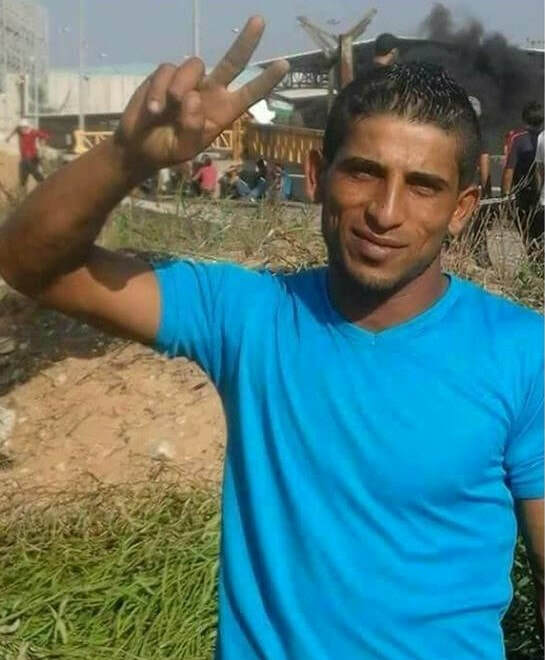 On Friday morning, the Palestinian Health Ministry has reported that a young man, identified as Tha’er Mohammad Rabe’a, 30, died from serious wounds he suffered when Israeli soldiers shot him with live fire, last Friday March 30th, in northern Gaza. In related news, the soldiers shot three Palestinians, including one who suffered a head injury, in Ramallah, in central West Bank. The soldiers also injured many Palestinians in Hebron, in the southern part of the occupied West Bank. 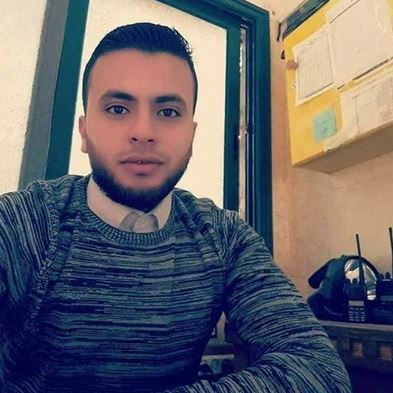 The Palestinian Health Ministry has reported that a young man died on Friday morning from serious wounds he suffered when Israeli soldiers shot him with live fire, last Friday March 30th, in northern Gaza. 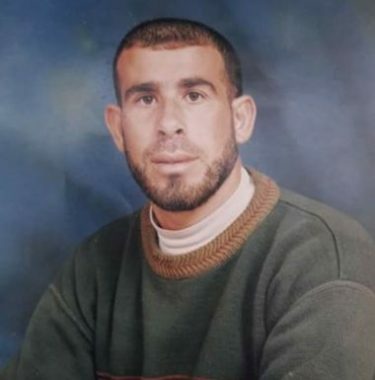 The Palestinian, Tha’er Mohammad Rabe’a, 30, suffered serious wounds after being shot with live army fire, and remained in critical condition until his death. Rabe’a is from Jabalia city, in the northern part of the Gaza Strip; his death brings the number of Palestinians who were killed by Israeli army fire since Friday, March 30th, to twenty-one, including the farmer, Wahid Nasrallah Abu Sammour, who was killed on his land early Friday morning before the Land Day protests began. More than a thousand Palestinians were injured by Israeli forces, many of them with serious or critical wounds from live gunfire. Palestinian medical sources have reported, Thursday, that Israeli soldiers killed one Palestinian with a missile fired from an armed drone, late on Wednesday at night, while another Palestinian died from wounds he suffered last Friday, in the Gaza Strip. The sources said that an armed Israeli military drone fired a missile at Palestinian protesters near Erez Crossing, in the eastern part of the Gaza Strip, killing one of them, and wounding several others. Palestinian medics were unable to enter the area due to Israeli army fire, and severe military restrictions on border areas, and were only able to retrieve his body in the morning. The Palestinian Health Ministry said the slain Palestinian has been identified as Mojahed Nabil al-Khodary, 23, from Gaza city. Medical sources at the Shifa Medical center in Gaza city, said Red Crescent Medics located the mutilated remains of the slain Palestinian, east of the Zeitoun neighborhood, southeast of Gaza city. They added that the soldiers also shot five Palestinians five live fire and caused dozens to suffer the effects of teargas inhalation in the same area. On Thursday morning, another Palestinian, identified as Shadi Hamdan al-Kashef, 34, from Rafah, in the southern part of the Gaza Strip, died from serious wounds he suffered last Friday, after the soldiers shot him with a live round in the head. He was at the Intensive Care Unit of Abu Yousef Najjar hospital, in Rafah, until he succumbed to his serious wounds. Their deaths bring the number of Palestinians, killed by Israeli army fire since last Friday, to 19 Palestinians, while more than a thousand, including at least 200 children, have been injured, many seriously. In related news, Israeli navy ships opened fire on several Palestinian fishing boats, in Gaza territorial waters, in the western part of the coastal region, moderately wounding three Palestinians. A Palestinian youth was killed by Israeli soldiers' gunfire to the east of Gaza on Thursday morning, the Palestinian health ministry said. Spokesman for the ministry Ashraf al-Qidra said that the body of the Palestinian youth was transferred to the Shifa hospital, adding that his identity was not yet known. Palestinian refugees have started a sit-in on the Gaza borders since last Friday 30/3/2018 as part of the Great March of Return event demanding their right to return to their homeland from where they were forcibly evacuated in 1948. Israeli army forces fire at those peaceful demonstrators live rounds and teargas canisters since then. The number of Palestinians killed by Israeli gunfire since last Friday thus rose to 18 while about 1,500 others were injured.